All systems are "Go" for Charles Farmer. He's faced bank foreclosure, neighborhood naysayers and a government alarmed by his huge purchase of high-grade fuel, but now he's ready to blast into space inside the homemade rocket he built in his barn. Just be home in time for dinner, Charlie. Billy Bob Thornton portrays Charlie in this charmer about chasing dreams ... and about what it means to be a family. 10,000 pounds of rocket fuel alone can't lift Charlie into the heavens. He needs a launch/recovery crew, and he has one of the best: his wife (Virginia Madsen) and children, dreamers all. They have liftoff. Our spirits have uplift. Gravity cannot hold down our dreams. The Astronaut Farmer is that kind of movie. $4.454 million on 2155 screens. 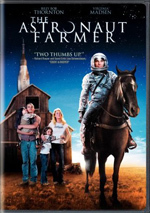 In 2007’s The Astronaut Farmer, we meet aptly named agrarian Charlie Farmer (Billy Bob Thornton). He may work with the land, but he dreams of space. He works to build a rocket and launch himself into orbit even though this sends his family into debt. When the bank threatens to foreclose on his home, Charlie puts his “space program” into overdrive to make it a reality. In addition to the financial woes, Charlie runs into other obstacles. When he tries to buy 50,000 pounds of rocket fuel, he attracts attention from the FBI. Farmer takes the counter-offensive and garners media and popular support for his cause. 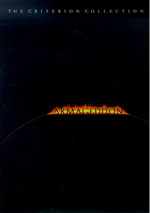 The movie follows Charlie’s attempts to achieve his goal in the face of a mix of problems. When Disney films tell kids to “embrace their dreams”, at least they usually do so in a reasonably responsible manner. Those flicks push for kids to do what they want but not to endanger or neglect others. In Farmer, on the other hand, we’re told to do what we want and ignore the consequences. Charlie drives his family’s finances into the ground and also possibly endangers many people with his rocket project. Of course, the movie paints the government agents who try to halt the launch as narrow-minded buffoons, but personally, I think it’s a pretty good idea to keep some loon from doing something that could explode and possibly kill many people. Heck, even if Charlie gets the rocket off the ground, who’s to say it won’t end land smack dab in the middle of Manhattan and off thousands? But how dare I be such a Negative Ned in the face of a man’s dreams! Apparently our basic desires are all that matters, even when they’re destructive, pointless and completely selfish. After all, Charlie tells us that “Somewhere along the line, we stopped believing that we could do anything. If we don’t have our dreams, we have nothing!” Why, I’ve not seen inspirational material that good in a long time – at least not since I read my last fortune cookie. 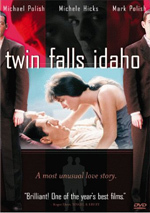 My only prior experience with the work of the Polish brothers – writer/actor Mark and writer/director Michael – came from 1999’s thin, pretentious Twin Falls Idaho. I thought maybe the brothers had grown in the last few years, and the fact they enticed a pretty amazing cast into Farmer gave me encouragement. In addition to Thornton, we get Virginia Madsen, Tim Blake Nelson, Bruce Dern and a certain major star who does an unbilled cameo. Alas, any expectations I developed soon burst into the reality of another superficial, silly Polish flick. I maintain a high level of cynicism toward any film that goes with such a cheap pun as the lead character’s name; he’s a farmer named Farmer! That’s about as creative as Farmer ever gets, unfortunately, for the movie always remains insipid and witless. Almost everything about Farmer feels artificial and stilted. Characters don’t develop; they act simply to motivate the plot. For the first half of the movie, Audie resolutely supports Charlie, but then she suddenly changes her tune and attacks him. Why? Because it fit the story that the filmmakers chose to tell. It makes no sense whatsoever, but that’s the kind of abrupt, unnatural character “growth” we see in this film. Folks change their attitudes and behavior with no logic at all. And then the movie makes Audie look like the bad guy! The woman finally realizes that her husband’s a self-absorbed kook who will send them into the poorhouse and/or jail and yet she’s the villain? When she goes back to her supportive tone, the change makes even less sense. Charlie almost kills himself and then she decides another launch would be a good idea? Actually, maybe that makes sense. Perhaps Audie took out a big life insurance policy on doltish Charlie and she’ll collect a fortune if he perishes in a rocket explosion. That’s the only logical reason she’d choose to support his fantasy flights after he nearly dies in a launch. But you’d be a dolt yourself to expect consistency or rational thinking in the simplistic and submoronic Farmer. I took a lot of notes as I watched the movie, virtually all of which are negative. Time after time, the film stunned me with its idiocy and patronizing nature. Anyone who doesn’t support Charlie is a dope, while those who stand behind him are good, honest citizens – who never have had a sensible thought in their lives, if you ask me. The Polish brothers apparently can’t tell a coherent story. Farmer jerks and jags along as it follows its path from one perplexing plot choice to another. Events happen in an unnatural manner and often exist to serve some emotional and/or story need. At one point, the film gets a twofer; it finds a way to poke us with cheap sentiment and solve a plot problem. I’d bet the Polish brothers were proud of themselves for that movie, but it just looks like bad filmmaking to me. Some “feel good” movies actually succeed and give you a real shot of joy and inspiration at the end. Some “feel good” movies make you feel cheated and used. The Astronaut Farmer clearly falls into the latter category. It combines cheap quirkiness with tacky sentimentality and a completely illogical, irresponsible narrative. If the Polish brothers set out to make a thoroughly terrible movie, they succeeded. 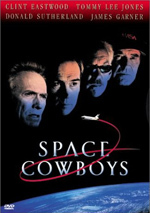 The Astronaut Farmer appears in both an aspect ratio of approximately 2.35:1 and in a fullscreen version on this double-sided, single-layered DVD; the widescreen image has been enhanced for 16X9 televisions. Only the letterboxed picture was reviewed for this article. Not too many problems cropped up in this generally good presentation. For the most part, sharpness looked solid. Wide shots occasionally came across as a bit soft and murky, but they usually seemed positive. The majority of the movie featured more than acceptable delineation. No issues with jagged edges or shimmering materialized, but I noticed a little light edge enhancement. At least the film came free from source flaws. With its rural setting, Farmer went with a warm, golden palette much of the time. It favored clean, natural colors and displayed them in a satisfying manner. The hues always seemed vivid and firm. Blacks were also deep and tight, but shadows were a little dense at times. Those issues made low-light shots a bit less well-defined than I’d like. Nonetheless, this was a positive transfer overall. I thought the Dolby Digital 5.1 soundtrack of The Astronaut Farmer seemed similarly positive. Much of the time, the soundfield stayed low-key. Music demonstrated nice stereo imaging, and the sense of environment created a good feeling for the various settings. As one might expect, the rocket launch sequences were the most effective, as they created terrific punch and movement. The rest of the flick tended to be more low-key but worked perfectly well. Audio quality was solid. Speech sounded natural and concise, with no edginess or other problems. Music seemed clean and smooth, while effects displayed good accuracy and delineation. Again, these came to the forefront when Charlie launched the rocket; those scenes showed fine power and kick. Though the mix was too subdued in general to merit more than a “B”, it fit the story. In terms of extras, we don’t find much. The prime attraction comes from a featurette called How to Build a Rocket: The Making of The Astronaut Farmer. This 28-minute and 20-second program combines movie clips, behind the scenes material, and interviews. We find notes from writer/director Michael Polish, writer/actor Mark Polish, producers Paula Weinstein and Len Amato, 1st assistant director Andrew Coffing, production sound mixer Matt Nicolay, costume designer Danny Glicker, production designer Clark Hunter, composer Stuart Matthewman, and actors Tim Blake Nelson, Jon Gries, Virginia Madsen, Bruce Dern, Billy Bob Thornton, and Max Thierot. The program looks at the movie’s themes and goals, cast, characters and performances, the work of the Polish brothers on the set, locations and production challenges, various effects, and music. Easily the best parts of “Rocket” come from the shots from the set. These give us some interesting insights that the interview comments usually lack. Oh, we get some useful tidbits along the way, but bland praise dominates the remarks. “Rocket” ends up as a pretty average documentary. Bloopers and Outtakes runs eight minutes, 39 seconds. Much of the material comes from giggles, most of which are Madsen’s fault. Thornton manages some funny adlibs, though, and those make this compilation sporadically watchable. Finally, we get the brief A Conversation with David Scott – NASA Astronaut. Scott doesn’t have much to say, as this conversation lasts a mere two minutes, 44 seconds. He discusses his career and some thoughts about NASA and spaceflight. This is such a short piece that it offers little of substance. I’m sure Scott has interesting insights into space travel, but they don’t pop up here. The Astronaut Farmer boasts a mildly intriguing concept, but the film plays its themes in such a way that it gives us a silly product. This is a movie that confuses selfishness for individuality and relies on cheap sentimentality instead of honest emotion. The DVD presents reasonably positive picture and audio as well as a mix of average extras. Avoid this cheesy and sappy flick.